Wednesday 16th of March 2016 – That was the day Alex Iwobi was included, to much surprise, into Arsenal’s first 11 for a Champion’s League round of 16-second leg against Barcelona. Despite a 3-1 defeat on the night, Iwobi put in a fearless performance at the Camp Nou. He fearlessly took on the likes of Jordi Alba with real belief and didn’t look phased to go up against the stars of Barcelona’s team that included Messi, Suárez, Neymar, Iniesta and co.
At this point, Arsenal were really struggling with a lack of balance in midfield with either Joel Campbell or Theo Walcott playing on the opposite wing to Alexis Sánchez. Before this Arsène Wenger had utilised Alexis more as a 2nd striker than a winger – he facilitated this by using either Santi Cazorla or Aaron Ramsey as wide players that would drop narrow into midfield. This would create a system that resembled more of a 4-2-3-1 and 4-4-2 diamond hybrid than anything else. Recurring injuries to both players left Arsenal with a number of wingers that were effective in the final third but not in the other thirds. This left Arsenal’s play predictable and they struggled to advance the ball into dangerous areas enough. Iwobi’s emergence helped the team by having a player that could support both the central midfielders in working the ball up the pitch and also having a player closer to Özil which gave Alexis more licence to get into the box. It seems almost tragically poetic that Iwobi‘s first premier league goal for Arsenal came in an away win against Everton at Goodison Park. A game we’ve very recently lost but once again Iwobi looked like one of our most positive players after coming off the bench. In my opinion, Iwobi’s best game came in the 3-0 victory over Chelsea in 2016. A game that saw Alexis and Özil steal the headlines, but Iwobi was an underlying monster coming off the left flank. He was constantly using his close control and strength to bully the likes of César Azpilicueta and David Luiz into absolute disarray. You really get the feeling that when Iwobi feels like he’s got your number you’re in big trouble because his footballing brain is impressive. He analyses the game and seems to know what to bring to it, this is especially apt when coming off the bench – he always seems to make a big impact. The effect Iwobi has on the game is underrated. Much like Tomáš Rosický, Iwobi is a player that forces the tempo of the game to rise. Every time he gets the ball he’s looking to either beat his man or play line breaking vertical passes. As a player that primarily plays in advanced midfield positions, Iwobi would hope to get more goals and assists but that’s not something he should be completely judged on. Iwobi is a great balancer of any team and much like players in the mould of Iniesta, who was never known as a player that stockpiled goals or assists,c is a player who affects the whole game and not just the scoreline. This season under Emery there has been a clear improvement in Iwobi’s game. Mostly his physical condition. 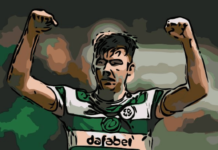 He looks leaner, plays with greater intensity and where he used to fizzle out of games around the 70th minute, he’s now able to play the full 90 minutes with the same enthusiasm. The problem Iwobi has is that he is almost a victim of his own versatility. He’s not really a winger or a #10 – his talents lie in the half-space that he commonly exists in between those positions. This is why I think his future best position would be on the left-hand side of a midfield three. In this position, he’d have the freedom to carry the ball up the pitch whilst also being in a position to constantly play vertical balls and moving up into the left half-space receiving the ball on the half-turn. Iwobi’s effectiveness at passing the ball into the box is highlighted in the above graphic which puts him fourth behind three world-class players in Messi, Neymar and David Silva. This is one of many examples of how Iwobi has high-quality skills that won’t show up in some of the more glorified stats. 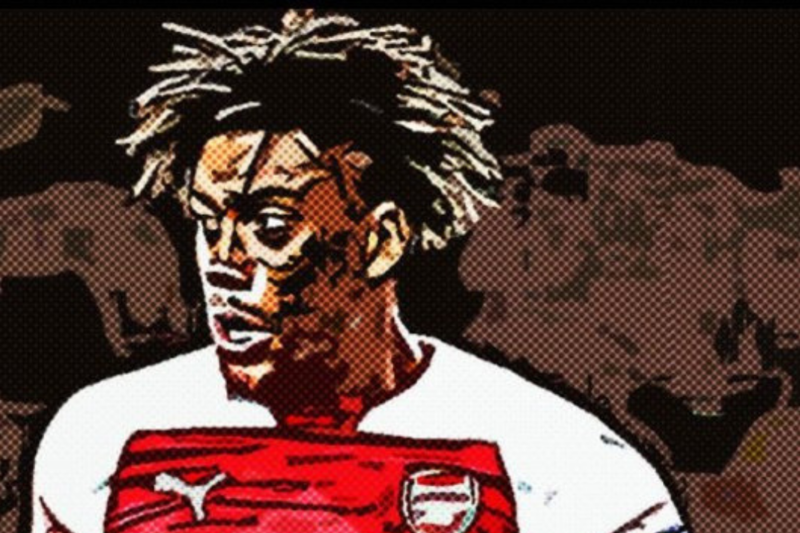 It will be up to Iwobi to show he can continue this progression and really cement his place in Unai Emery’s squad for the future. Iwobi, as a product of the Hale End academy and a player who clearly loves playing for Arsenal, should hopefully keep improving and become a regular fixture in the Arsenal team for years to come. 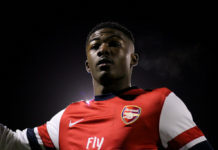 Will Ainsley Maitland-Niles nail down a position in the Gunners’ midfield? 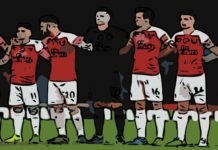 WATA Roundtable: Who Is The Most Improved Player At Arsenal This Season?